A classic that comes in almost every color and print you can imagine--good luck deciding! 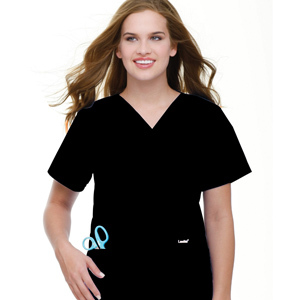 V-neck with set-in sleeves and four pockets with pencil/instrument division. Four-inch side vents.